Brogdale, near Faversham in Kent, is a living library. 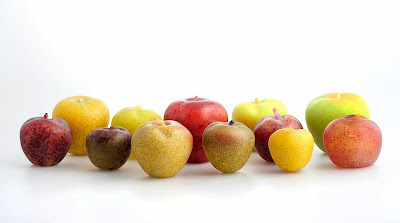 The home of the National Fruit Collection, it contains 3,500 species, including varieties of apple, pear, plum, pear, cherry, currant, vine, and cob nut. The collection is run like any library, complete with a catalogue, searchable online, offering an up to date list of that season's new accessions. However, rather than biblographical data and ISBN, here categorization is defined by genetic fingerprint. Adding to the collection, in Spring 2013 I installed a bee library at Brogdale. 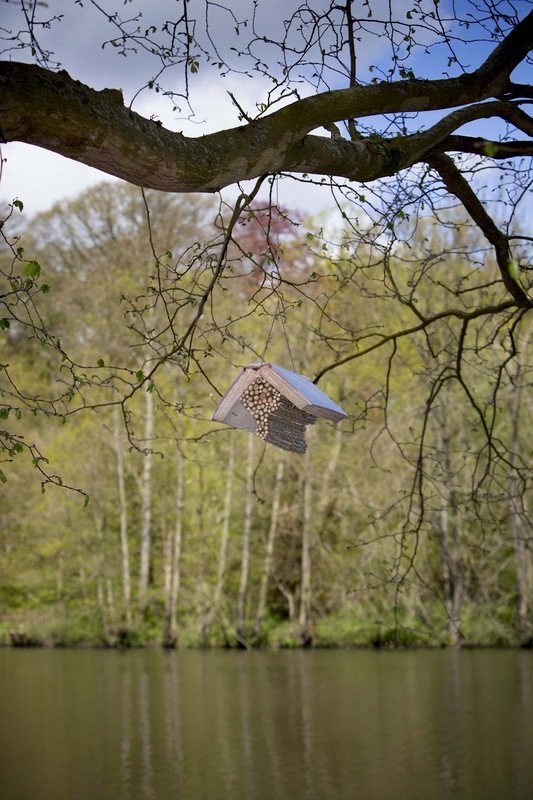 These libraries adapt books into nests for solitary bees. In this case, as well as the usual bee-themed books, I included some collections of haiku, hung in the ornamental cherry trees. Before turning the books into nests for bees, I read them and responded with poems. You can read some of the poems here. In a previous collaboration I worked with Brogdale's archive of apple photographs to colour specify fifty native varieties. 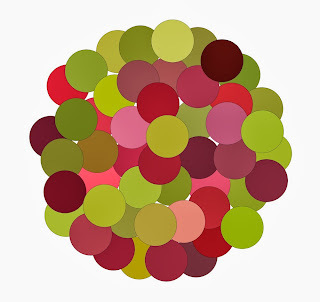 These colours were used as a reference in the creation of fifty glass apples. At the same time as installing the bee library I also created another work, a sculptural record of the succession of blossom in the various fruit species at Brogdale, which determines the feeding behaviour of bees. This artwork takes he form of 4 beehives with texts, colour specified to the colours of cherry, plum pear apple and quince. 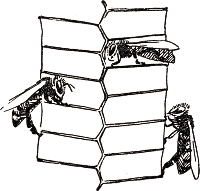 You can read more about Succession (4 beehives) here.